How to recognise a Parallels' virtual machine by its MAC address? When a new virtual machine is created, Parallels generates a MAC address using its only registered OUI – 00:1C:42. For the manually generated MAC-addresses, Parallels recommends using MAC address with OUI 00:1C:42. If a MAC address matches the pattern, it does not necessary mean that it's a Parallels Virtual Machine. All manually generated MAC addresses for the Parallels Virtual Machines which are not using the OUI 00:1C:42 match the pattern. 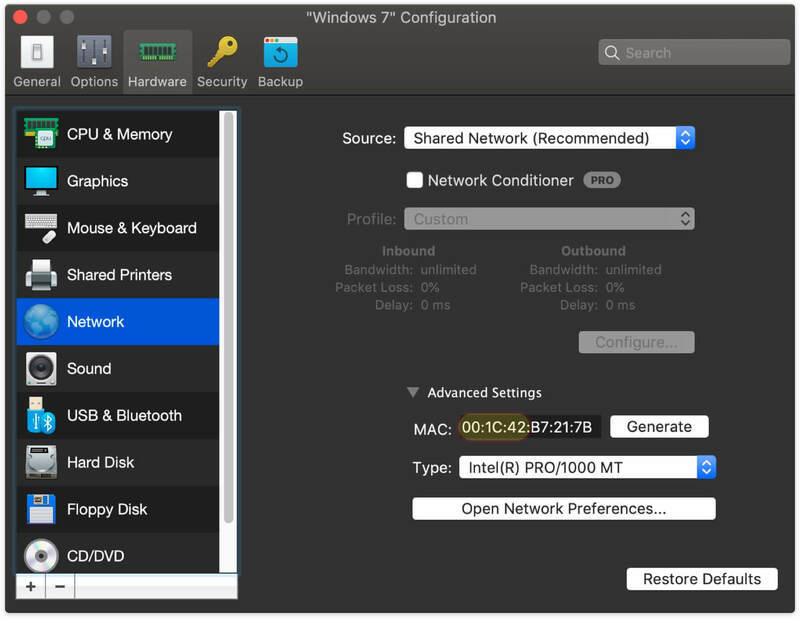 How to recognise a VMware's virtual machine by its MAC address? How to recognise a Docker container by its MAC address? How to recognise a Microsoft Hyper-V's virtual machine by its MAC address? How to recognise an Oracle Virtual machine by its MAC address? How to find my MAC address on Linux? 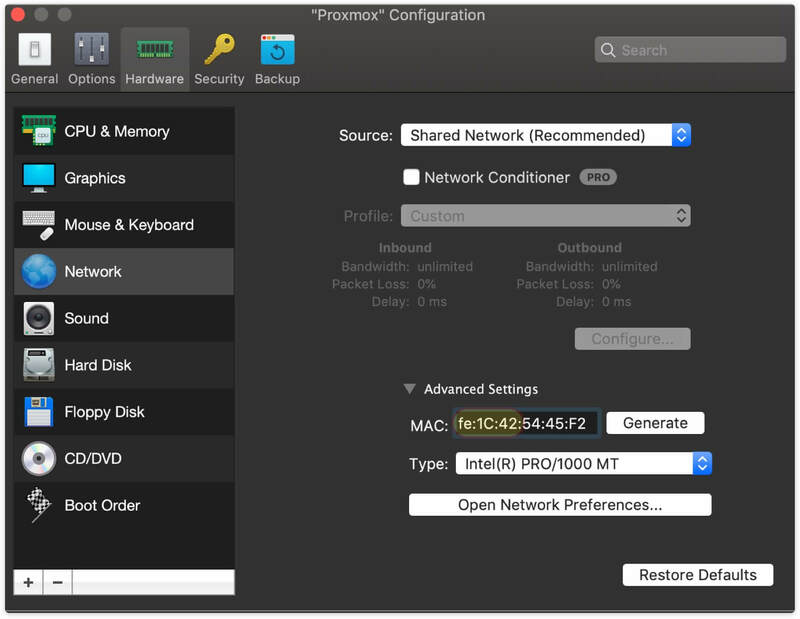 How to recognise an IP frame by MAC address? How to find my MAC address on iOS?